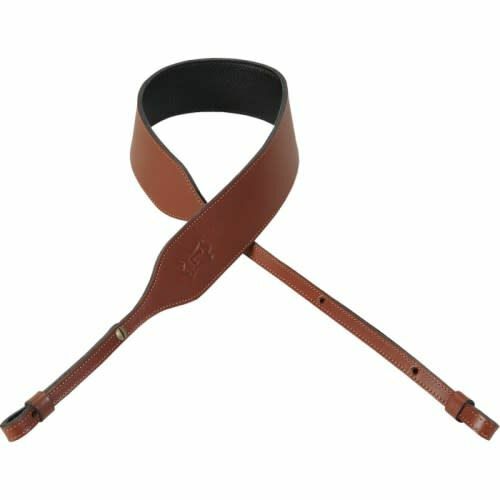 2″ veg-tan leather banjo strap, tapering to 1/2″ ends, with garment leather backing. 2″ veg-tan leather banjo strap, tapering to 1/2″ ends, with garment leather backing. Adjustable from 29″ to 55″.